With increased demand for ‘connected’ operations, Hyster Europe is supporting applications throughout the logistics chain with innovative 360 degree technology solutions. The Hyster solution addresses these challenges with an affordable, truck-based approach. Currently available on selected Hyster tow tractors, pedestrian counterbalance lift trucks, and low-level order pickers, the solution enables applications to benefit from the quality and reliability of the trucks, alongside cutting-edge automation technology.Rather than requiring complex changes to enable automated logistics, the Hyster® truck-based solution maps the environment using natural features in the building. This means that the truck’s automated tasks can be easily adapted if the site infrastructure changes. 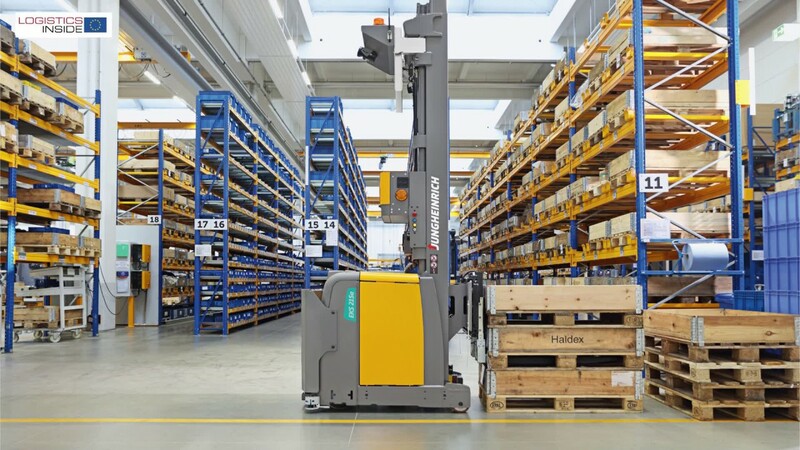 In addition, the flexible Hyster® solution allows the truck to be used as a fully automated unit for repetitive tasks, or as a supportive, partly-automated machine, for activities such as order picking. 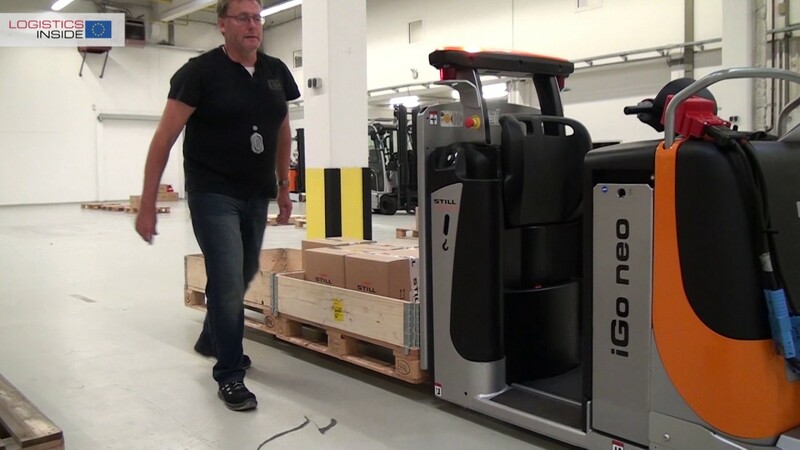 The automation system can even be switched off completely so the truck can be used by an operator as normal. “This automation solution better meets the needs of logistics applications around variable or peak demand,” says Smith. “However, what really sets our solution apart is our approach.” Instead of offering a set package of technologies, the automation solution is completely customisable. 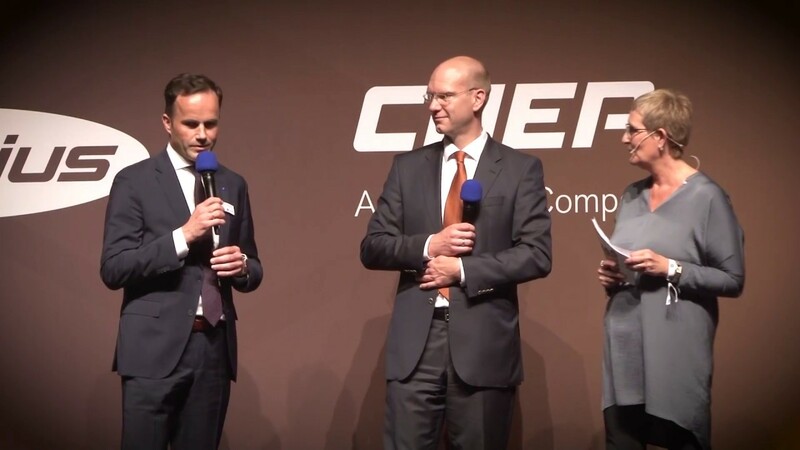 By consulting with the customer and using the Hyster dealer’s extensive knowledge of the industry and application, the operational challenges are identified. 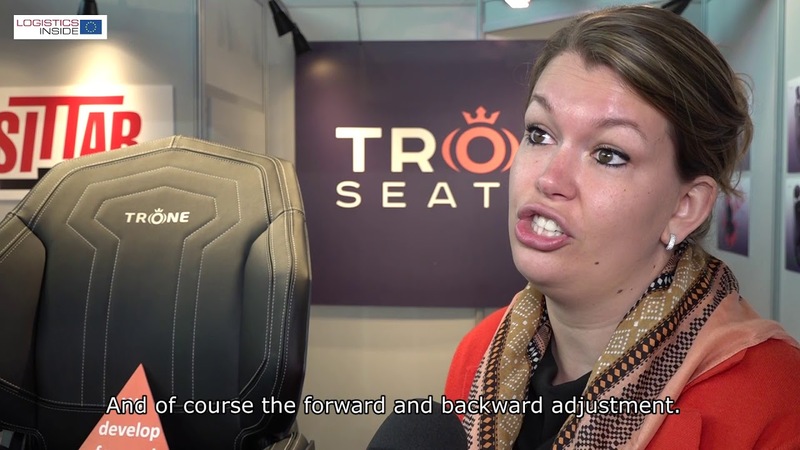 The experts from Hyster Europe then conduct simulations and create the right solutions, so that the customer can easily develop and present a business case. The solution can then be implemented without the need for complex integrations with software and warehouse management systems. Once the agile ‘robotised’ solutions are in place, support, service and maintenance is available not only from Hyster Europe and its expert automation partners, but also from local Hyster distribution partners. In the ever-evolving pursuit of optimal power options for mobile equipment, Hyster Europe is providing a range of choices so that logistics operations can select the right power solution for their application. 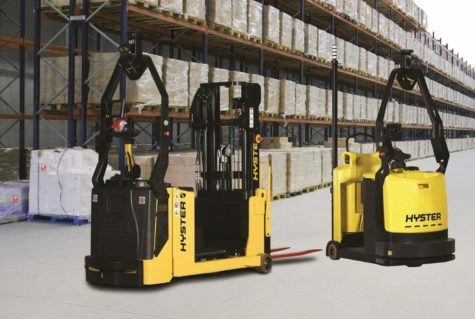 For example, alongside IC power options and lead-acid batteries, lithium-ion batteries are now available on many Hyster warehouse trucks and lift trucks, such as the J1.6XN Electric Counterbalance lift truck. 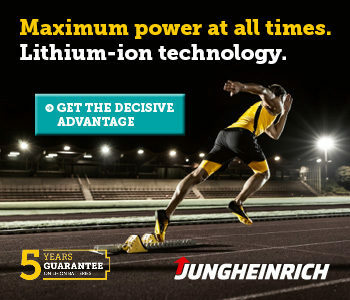 Lithium-ion batteries are becoming popular as they allow applications to streamline their energy requirements. A lithium-ion battery can offer savings of up to 30 per cent in energy costs compared to a lead-acid battery and produces zero emissions. 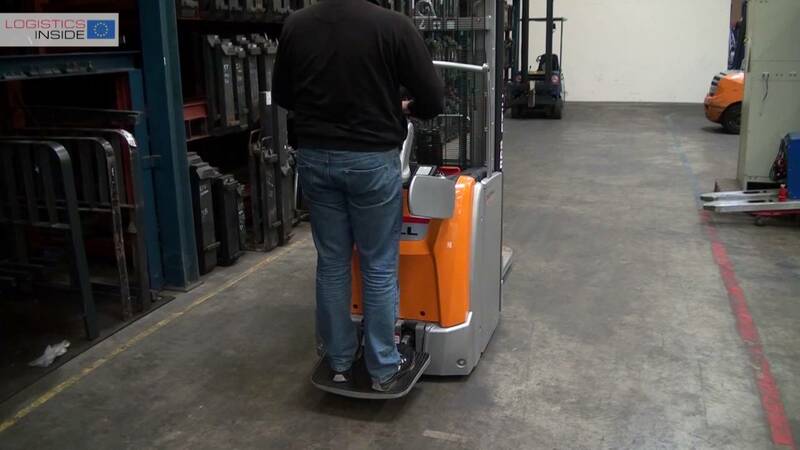 Due to fast charging speeds and the possibility for opportunity charging, plus up to three times the life of a lead-acid battery, lithium-ion batteries support efficiency in logistics operations and are particularly well suited for extended or multi-shift operations. However, they are not for everyone, and lead-acid batteries will still best suit the needs of certain applications. 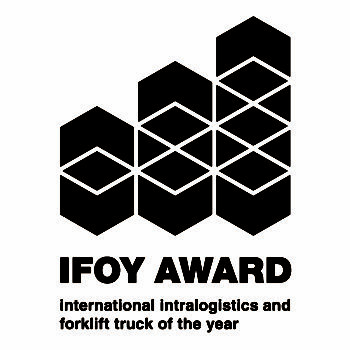 Hyster Europe has also previously revealed that a zero-emission electric laden container handling truck is in development. The first electric Hyster Big Truck, which is powered by a lithium-ion battery and electric motors, is currently entering the test phase. Once fully developed, Hyster Europe aims to offer the truck with a choice of power options that utilise lithium-ion batteries alongside fuel cells, meeting the needs of logistics operations which require zero-emissions trucks that also meet their demanding application needs. As well as a range of different power options, Hyster Europe also provides an array of battery management solutions for several Hyster J-series electric trucks up to 3.5-tonnes. With the option to use a Hyster side battery exchange stacker, forklift, overhead crane, fork lifting eyes or roller beds, there are now five ways to exchange the battery on a Hyster® electric truck. In fact, with the side battery extraction option, exchange can be completed in just a few minutes, saving time and improving efficiency while making the task easier for operators. 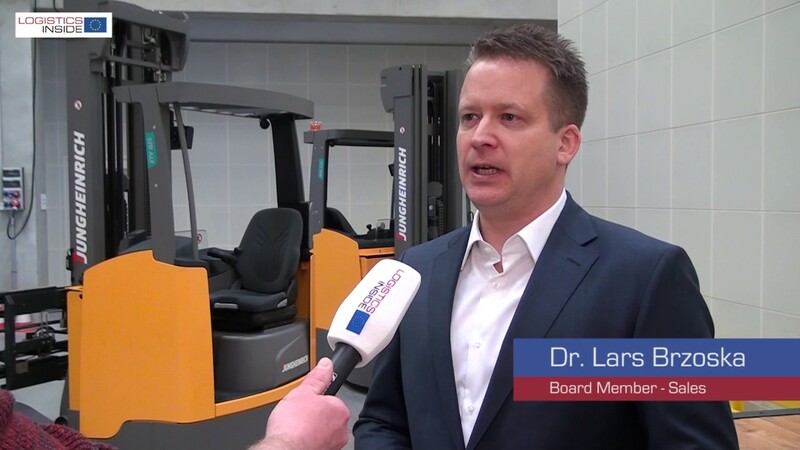 To keep operations running smoothly in Industry 4.0, smart logistics applications are increasingly looking to connect their lift truck fleets. With the Hyster Tracker telematics solution, Hyster Europe supports operations in collecting data, from daily service checks to utilisation analysis. Hyster Tracker can be added to a variety of materials handling equipment and container handling trucks to provide proactive maintenance alerts, which can be helpful when managing large fleets and hundreds of operators in logistics applications. Hour meter, cost of operation, periodic maintenance, fault codes and impacts can all be tracked with automatic emails generated when certain faults or impacts occur, making it easier to record and review incidents and related product damage. GPS tracking data also helps identify areas within an operation that may present a higher probability of incidents, such as congestion-prone areas. Hyster Tracker can also work with RFID cards so that specific equipment is used only by authorised or appropriately trained operators. To drive down fuel or power costs, the idle shutdown function can also be set to power off a truck after a pre-determined amount of time if the equipment is tracked as idle or unattended. Operator Pre-shift Checklist Tracking can also help determine any issues with a truck, so they can be addressed and resolved quickly to reduce expenses and potential downtime. All data collected by the Hyster Tracker system is stored on a secure online portal. Easily accessed, the portal provides clear, customisable reporting with quick visibility of key metrics.